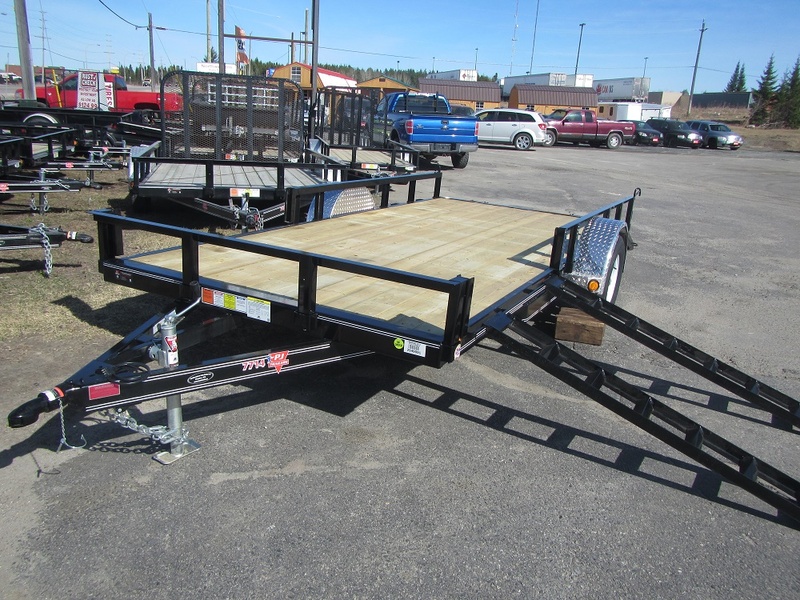 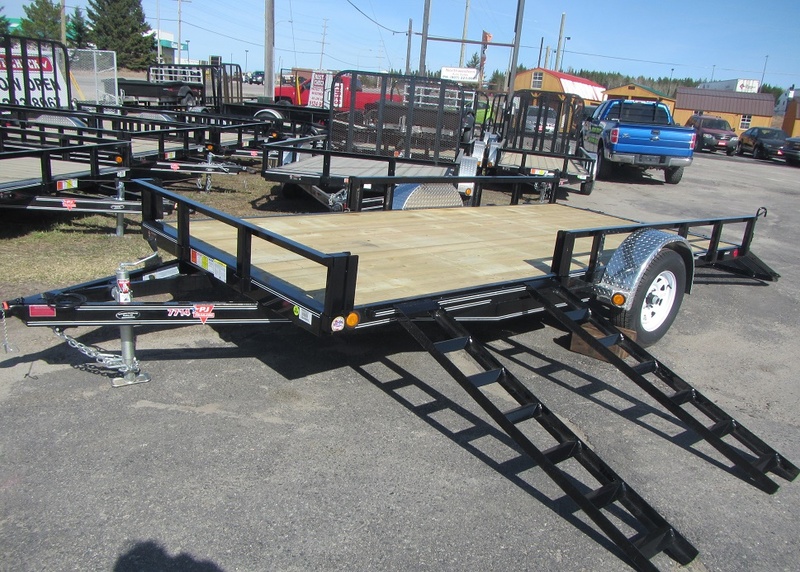 2017 PJ 14X77 Utility Trailer side ATV Loading ramps and heavy duty rear gate standard 3500 LB axle with 15 in. 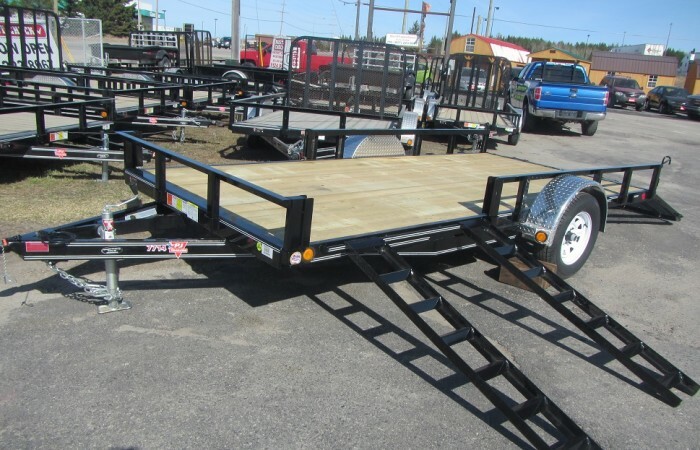 wheels. 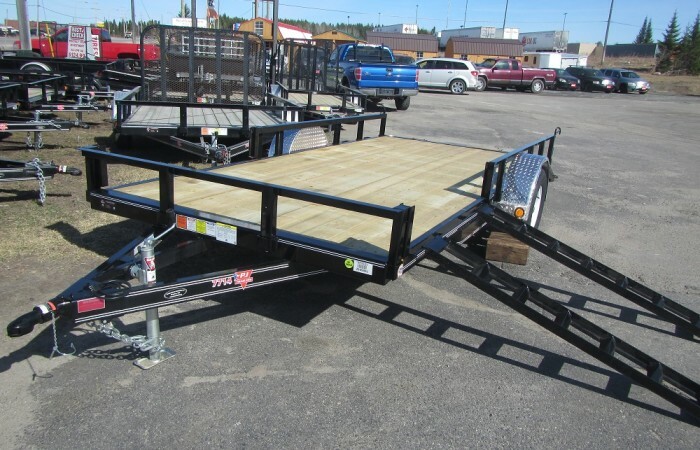 The trailer you want behind you when your towing your sled, ATV, Lumber. whatever your need is we have a trailer to get you there.